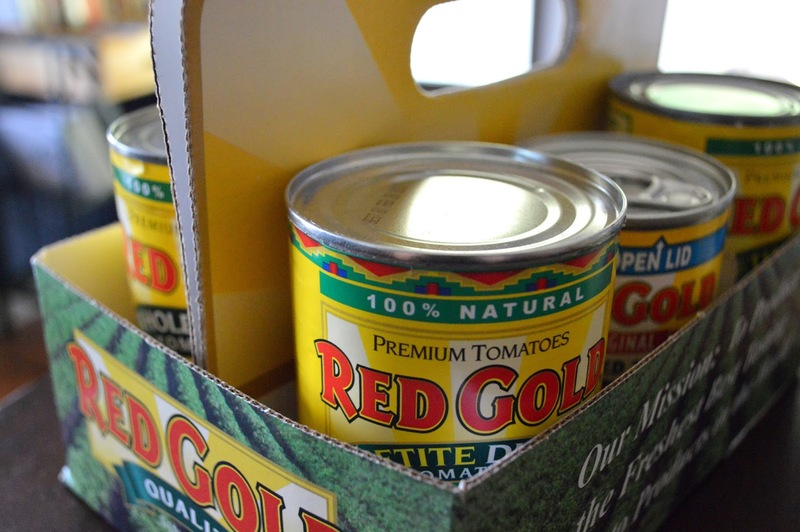 I was so happy to have Red Gold Tomatoes invite me again this year to their "Summer Grilling Giveaway". The party started on June 24th, running through July 22. Red Gold and Laura's Lean Beef are giving away a Large Big Green Egg each week.... AND.... 800 insulated tote bags. To get the party started at our house, they sent a delicious sample kit of tomatoes, an insulated bag, and a $10 coupon to Laura's Lean Beef! I tell ya, I love the bag. Living as far in the sticks as I do, I needed a bag to help me keep my cold stuff cold on the drive home! My coupon for Laura's Lean Beef will be in my purse for our next trip to the cities.... so excited to try this line of products! I also got a selection of Recipes from Red Gold Tomatoes. The one that caught our attention was the Grilled Cheesesteak Pizza. I have never tried grilling a pizza in any method, although I read of lots of people doing this. So... this was it, the push I needed. Let me tell you. LOVED IT! Perfect summer meal. I only had the stove on for 5-10 minutes, so this is a great way to keep the heat out of the house on hot days. Truckin' Man grilled up the steak for me while I prepped the veggies. I assembled the pizza, and on to the grill it went. I was a lil' bit nervous about it, but it was a success! 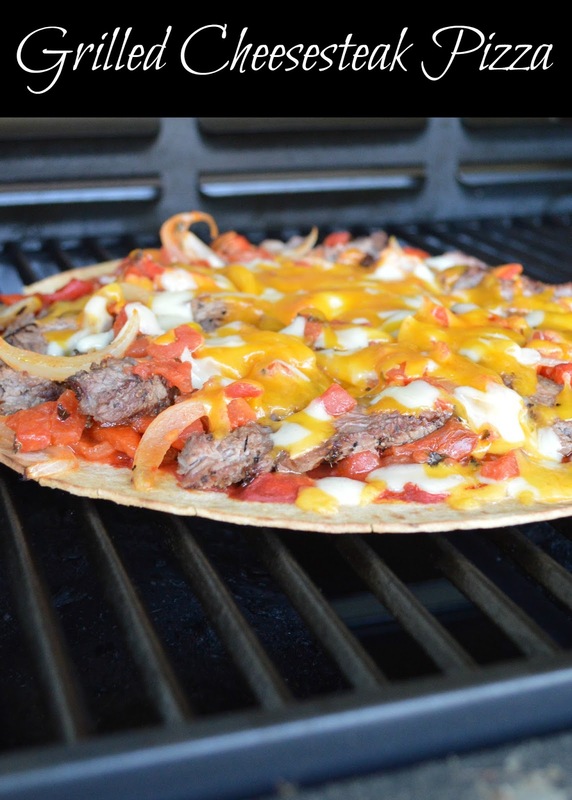 We will definitely be grilling more pizza's this summer. Thanks to Red Gold Tomatoes for the great recipe and getting us to try something new! Disclaimer: Red Gold provided me with tomatoes, insulated tote, and Laura's Lean Beef coupon for participating in the "Summer Grilling Party", but all opinions are my own. In large skillet, heat extra virgin olive oil over medium heat. Add peppers, onions and drained tomatoes. Cook until onions are soft. Sprinkle oregano over veggies and set aside. Grill steak until medium done. Let rest, then slice in thin strips. Reduce grill heat to low. Spread tomato paste onto crust. 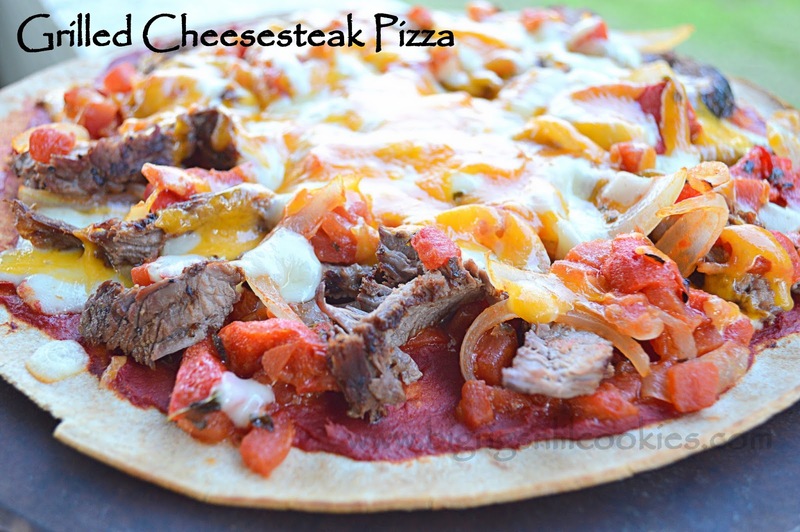 Top with tomato mixture, sliced steak, and cheese. Place pizza in grill (set at low heat) and close lid. Cook for about 5 minutes or until cheese is melted. Remove from grill and sprinkle with parsley, if desired. I just had my dinner..but now I have appetite again for some pizza! This looks fantastic! I love grilled pizza and will have to try this soon! Yummy :)! Pizza anytime is good. This looks really different. Cheesesteaks are my favorite. Thanks for sharing. Stop you are making me hungry. This looks delicious. on my top ten list of guilty pleasure foods, you'll definitely find cheesesteaks and pizza. combining the two is super clever and looks delicious! This looks great! I will be pinning to try later this summer. Thanks for linking up to the Country Fair Blog Party this month! We hope you will join us again next month.